Much has been made of the embarrassing withdrawal by Nigeria from signing the African Continental Free Trade Agreement earlier this year having initially made the commitment to sign it. In my view, the Nigerian government made a wise decision. Holding off on signing the agreement shows how seriously it’s taking the agreement. Nigeria’s governmenthas made it clear that it sees great merit in the free trade agreement. It has applauded the agreement’s potential to expand market access for Nigeria’s good and services. And that it will boost economic growth and job creation. The agreement will also improve competitiveness and the ease of doing business in Nigeria while it simultaneously provides a platform for the country’s continued leadership role in Africa. But it does have concerns. These include unfair trade practices, such as dumping – when a country lowers the sales of its exports below the cost of production to gain unfair market share. A rules based trade governance structure would give Nigeria greater access to invoking remedies for this kind of behaviour. The Nigerian government has expressly declared its confidence in the potential of the agreement’s dispute settlement mechanism. This contrasts with its scepticism of WTO’s dispute settlement mechanism which developing countries have generally viewed as expensive and unfair towards them. Perhaps, one way to explain the embrace of the dispute settlement mechanism under the agreement then is its uniquely African roots and the potential for “equal” access among its members. Olabisi D. Akinkugbe, Assistant Professor, Schulich School of Law, Dalhousie University, Halifax, Canada., Dalhousie University published this article initially on theConversation. Previous article Register for Abuja international photo festival. 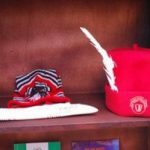 Next article Opportunity knocks for Ndi Igbo. 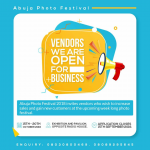 Register for Abuja international photo festival.